Mosquitos and gnats are really bad in the northern interior, and really all over. They constantly pester and bite you. Gnats get stuck in ears, eyes and nostrils. People in the interior burn mosquito coils and use mosquito repellent daily. 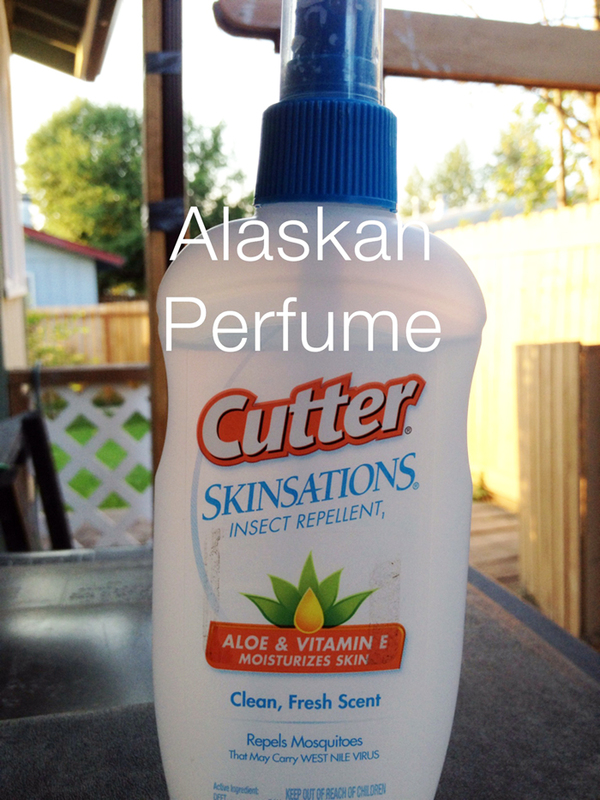 Mosquito repellent becomes your summer Alaskan perfume. Alex DeMarban of recently wrote an article about the topic for the Alaska Dispatch, called Bloodletting worsens during Alaska’s legendary mosquito infestation. Laurel Andrews of the Alaska Dispatch did a the crazy swarms on Alaska’s North Slope. The summer parkas are a great way to combat mosquitoes and gnats when you are picking berries or doing anything outside. I recently contributed to the Athabascan Word of the Week in the Fairbanks Daily News-Miner. 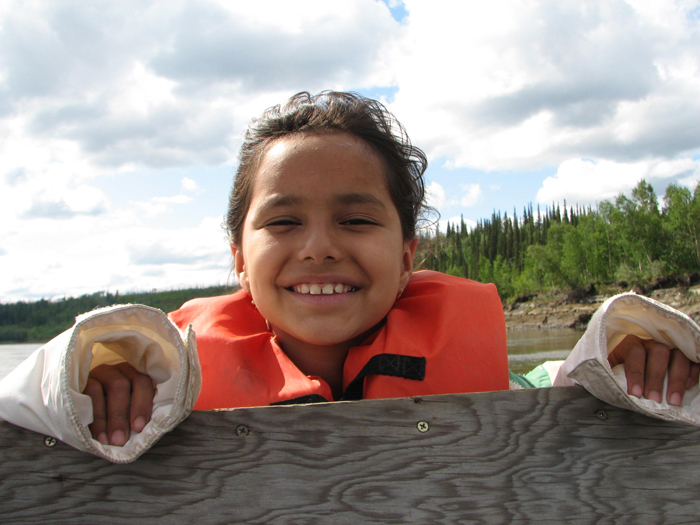 The Koyukon Athabascan translation for summer parka is bets’egh hoolaanee. Punk is a common tree fungus in Alaska. Many rural Alaskans slowly burn punk. The smoke keeps the mosquitoes, gnats, no-see-ums and other bugs away. Koyukon Athabascans call the smoky fire a smutch (sp?). Smutch is a Koyukon Athabascan word. Berry pickers sometimes carry a smutch with them when they are out. Mosquito head nets and jackets are also a great way to keep the bugs away. The only downside is that it can sometimes be difficult to see when the sun is shining on it. I’ve improvised with this method before by sewing mosquito netting onto a cap. 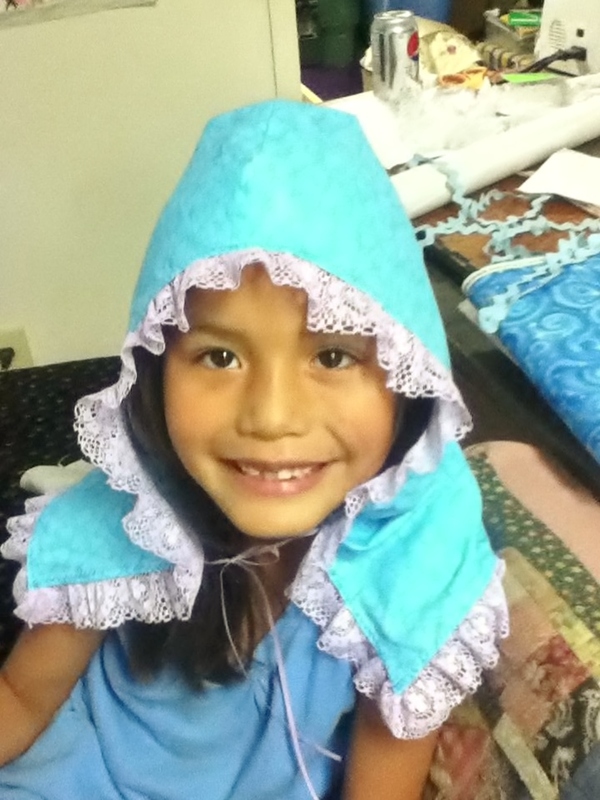 Sewing mosquito net material on a cap is a great way to keep the bugs out of your face and neck. Here is one I made a few years ago. Another great way to keep mosquitoes off of young children is to have a bonnet. It’s not a new idea, but one that is effective in Alaska. My sister, Tanya, makes them and takes orders for them in the summer time. The gnats are out in full-force in August. She gets requests from parents for their young children. She uses calico fabric. Girls get ruffles and floral fabrics. The boys usually get solid colors without ruffles. Many people sleep under mosquito nets, and make their own with pretty fabrics and mosquito netting. For the past couple of years, my parents have been using a bug repellent dispenser that sprays a mist about every 30 minutes in their home. It seems to be pretty effective for them. Each year, I hear about different techniques to combat the bugs, including many natural and organic options. Tanya uses lavender or sometimes vanilla instead of using so much bug spray. When I’m home, I always look forward to being in the boat when the wind blows all the bugs away. Some people find themselves staying inside a lot more than they hoped for. After all, summer is our shortest season, and Alaskans should get out and enjoy to the fullest. What are your tried and true techniques for combating mosquitoes and gnats during the summer? Yes it has been a bad summer for bugs in the interior. But it’s August and though abated a bit they are still a pain. Thanks for the ideas. Try using clothes dryer sheets.. Rub the crinkled sheets over your skin surfaces, as well as clothes. I use the generic sheets, they are non smell, and a tad bit cheaper. It works for the mosquitoes and bugs in my yard. I’ll try the dryer sheets. Great suggestion! Thank you. big, big, ones; looks like they could carry you off. Your photo’s are great. Such a pretty girl you have. Your bonnets would seem to be a great idea, taking care of the ears and nose. Smart. Could send you some dryer sheets?